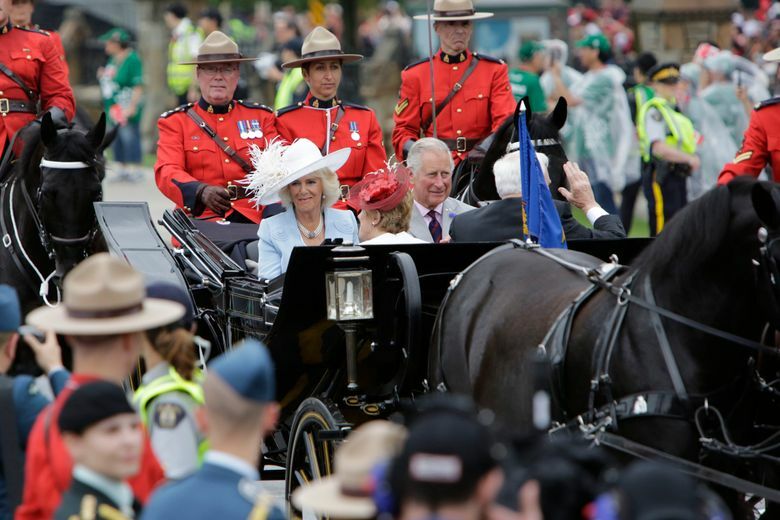 Prince Charles, center right, and Camilla, Duchess of Cornwall, center left, arrive at a Canada Day event in Ottawa last year. (Bloomberg photo by David Kawai, file). LONDON — Prince Charles has especially strong views on many things: plastic pollution, modern architecture, organic farming, and even the plight of the Patagonian toothfish. But the heir to the British throne insists he will stop meddling in controversial — or even mainstream — issues after he ascends to the throne. The comments, which come from a one-hour BBC documentary, “Prince, Son And Heir: Charles At 70,” mark the first time he has publicly addressed concerns that he could be a meddling monarch. The future king also came scrutiny following the publication of a cache of letters he penned to government ministers — dubbed the “black spider memos” because of Charles’ scrawled handwriting — that showed him to be a supporter of a number of causes. Charles, who turns 70 next week, is the longest-serving heir apparent in British history. In the BBC documentary, he said that he will operate within “constitutional parameters” when he becomes monarch, which is a “completely different” role to being the Prince of Wales, as the heir in Britain is known. “The idea somehow that I’m going to go on in exactly the same way, if I have to succeed, is complete nonsense because the two — the two situations — are completely different,” he said, according to excerpts of the documentary released ahead of its broadcast on Thursday evening. The documentary features interviews with his sons Prince William, who said he would like to see his father spend more time with his grandkids, and Prince Harry, who praised his father for walking Meghan down the aisle when her own father couldn’t make the wedding.